Let Rise Atlantic help you get all the google traffic your company deserves. Search Engine Optimization (SEO) is a key part of any digital marketing campaign, but talking about finding a good SEO agency and actually doing it are two very different things. While the online world is constantly changing, and there is probably no field that more thoroughly demonstrates that than the world of optimization. No matter where you or your business is located, getting to the top of the search engine rankings is crucial if you want to succeed. Almost everyone jumps online to search for goods, services, or information and if you want to reach your local customers in Saint John, or even just in New Brunswick in general, then you need to hit one of those top spots in Google. While you should take all online ratings worth a grain of salt, they do act as a good basic framework for how to judge the various providers located in and around Saint John. Obviously, the more ratings a business has, the more reliable the rating tend to be. However, with that being said negative SEO and fake ratings have been a major part of the shadier side of online marketing for a while and because of that it is extremely important not just to rely on star rankings but to also look at the individual positive and negative reviews and readjust the numbers based on removing all of them that sound fake or disingenuous. One of the most important ways you can prepare is to do some research and have a list of good questions to ask any representative of an SEO agency during an initial consultation. There are many people out there claiming to be experts at search engine optimization but much fewer who can actually back it up and prove it. Understanding even a few basics about online optimization and what to expect from these meetings can make all the difference. First of all, the initial consultation should be free. SEO contracts (and thus you as a client) are important enough and valuable enough that the initial charge just doesn’t make sense. You are going to drop a lot of money if you go with one of these campaigns so it is crucial that you have the ability to meet with all the possible providers and make sure you are working with one that you can trust and who knows how to get stuff done. Always ask basic questions about how they handled past updates, what they anticipate as far as future changes, and how they protect their clients’ sites from getting penalized. Ask for testimonials or references of businesses who they have worked with and always ask for a case study to look at. They should have at least one at a minimum, if not more, and this is a standard thing to ask for so if they don’t have one that is an instant red flag. There is no question that localized optimization has its own set of challenges and while general SEO is difficult enough, there are additional challenges that come when you have to deal with local listings. From securing official map and business listings with multiple directories and search engines to getting the link support needed to jump above the competition, to getting the right type of customer reviews, there’s a lot that goes into local SEO and a good agency needs to understand how to tackle those challenges for their clients. Local Search Engine Optimization (or SEO ) is Rise Atlantic speciality, we have ranked hundreds of clients on page one for there home town. There’s no denying the power of good optimization work. A proper New Brunswick SEO Agency will be able to do things for your website and online presence that you might not have known was even possible. The benefits are obvious. Over 95% of all online traffic goes to a first-page result, and even among all that over 80-90% of all those people visit the first four spots. A good SEO campaign that gets you in the top 5 for all your keywords, and especially the top three, will help your business in ways that are absolutely astounding. The flood of online visitors becomes a flood of customers and that means more business, more money, and more profits. Those are things that pretty much every business should want and that is what a good SEO program can result in. 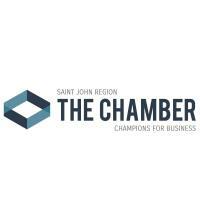 When it comes to Saint John SEO, you want to make sure you hire an agency who understands the local markets, how competition online works and can cut through the clutter and get you the results that you and your business deserve. Don’t wait another day. 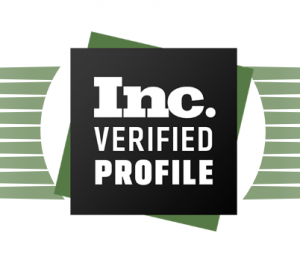 Start interviewing agencies and see who passes your interviews and who doesn’t. Find the right one and go full speed ahead! 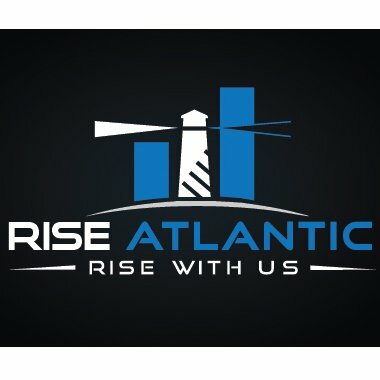 Contact Rise Atlantic today to get a free quote and website analysis. Saint John New Brunswick is located on the east coast of Canada, with a population of around 68000. Sometimes it gets mixed up with Saint John’s Newfoundland which is also on the east coast of Canada but is located approximately 1700km away. It’s very important to distinguish between Saint John SEO and Saint John’s SEO, if not you could be ranking your site in the wrong city.